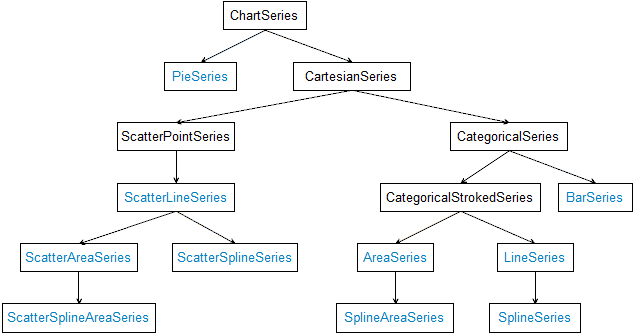 The data visualization in RadChart is done by a hierarchy of classes that inherit from the ChartSeries class. Each series has a collection of data points, that is the view model of the data. A series may have its data populated by data-binding to an arbitrary IEnumerable instance through the ItemsSource property.